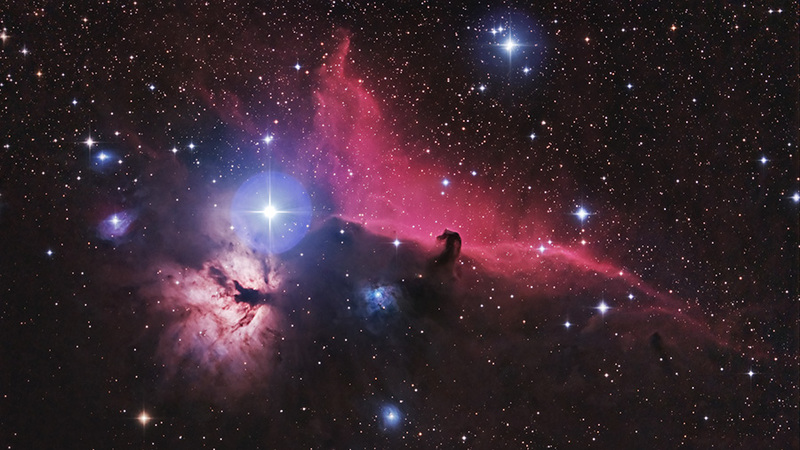 Nebulae in the constellation Orion; click here for a higher-resolution version of the wide-field image above . 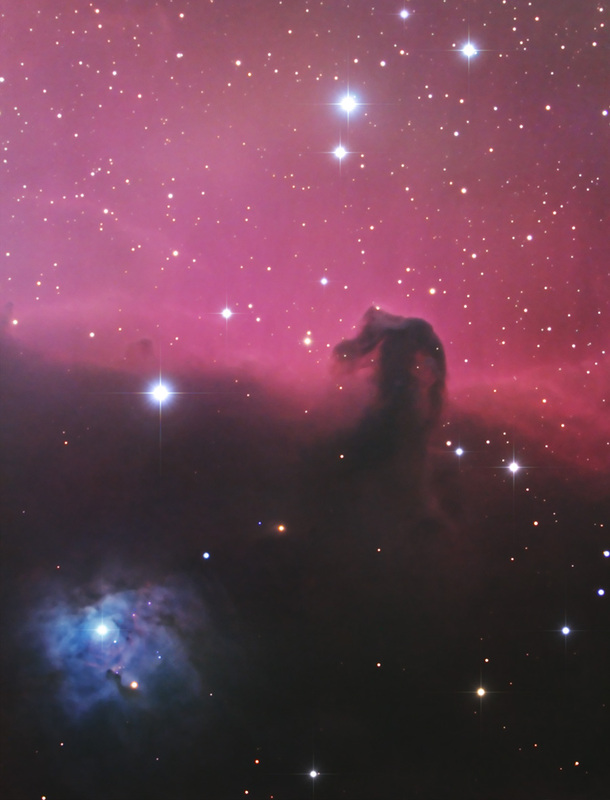 Below, a close-up of the Horsehead and the nebula NGC 2023 (to its lower-left). 11-inch Schmidt-Cassegrain telescope at 560mm and 1960mm focal length; astro-modified DSLR camera.